Thats the mutts nuts Colin. Very tidy, Colin. Lovely work (again!). As a matter of interest, did the decals for the flanks come as one or did you have to aply several different decals to make up the sides? Pros and cons of both ways and I personally prefer the individual decal approach as large decals can be very tricky to apply when the surface is 'less than flat'!! That's sweet. Another fine job, Colin. Thanks Colin, it's always good to know what others do with their decals. I have some projects coming up that are very decal-intensive, and I'd be wondering whether or not to set the elements separately or together on one big decal. 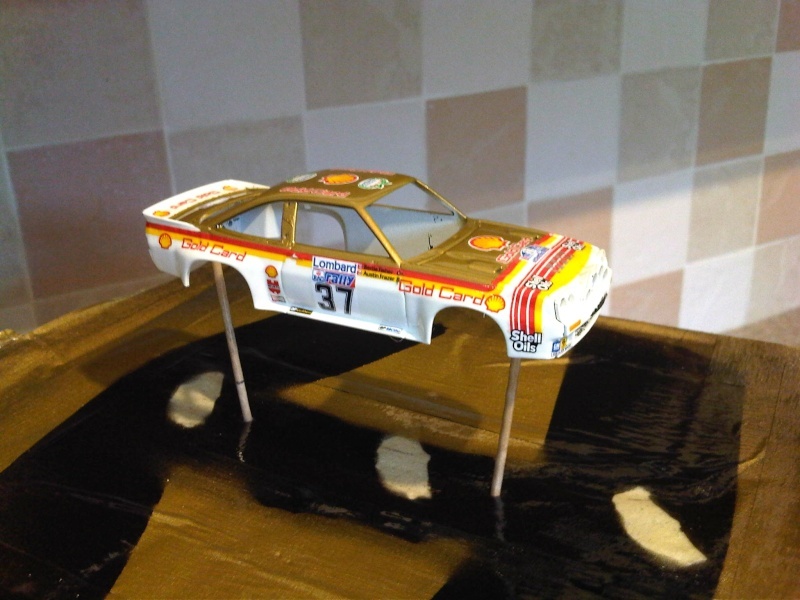 I'll use a mixed approach but with more of the decals being individual items, along the lines you've mentioned. Many thanks, Colin. Appreciate the info. Great-looking Manta you have there. 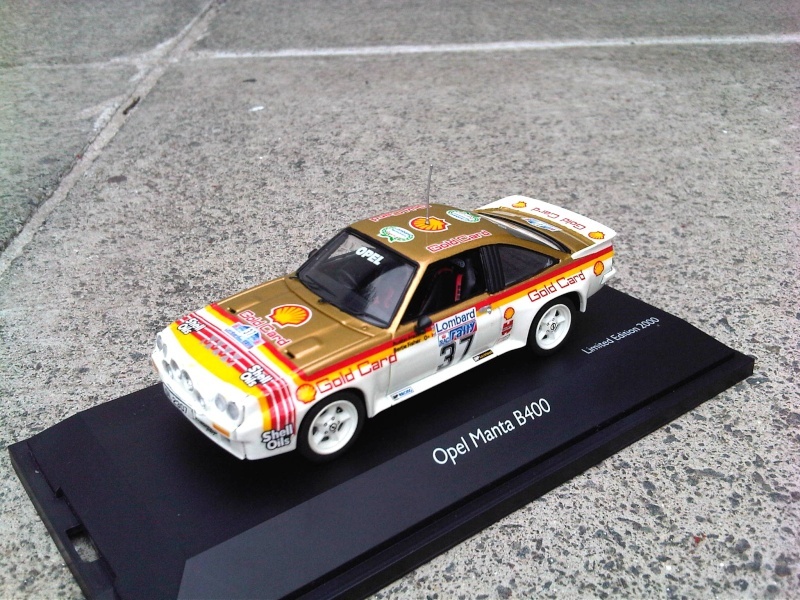 I've not seen the 1:1 scale version so will be interesting to see your progress. I've very recently experimented with using decals instead of masking tape and found it to be very good. Decal paper gives nice, clean, crisp lines and as its so thin, means the paint doesn't risk building up against the edges. 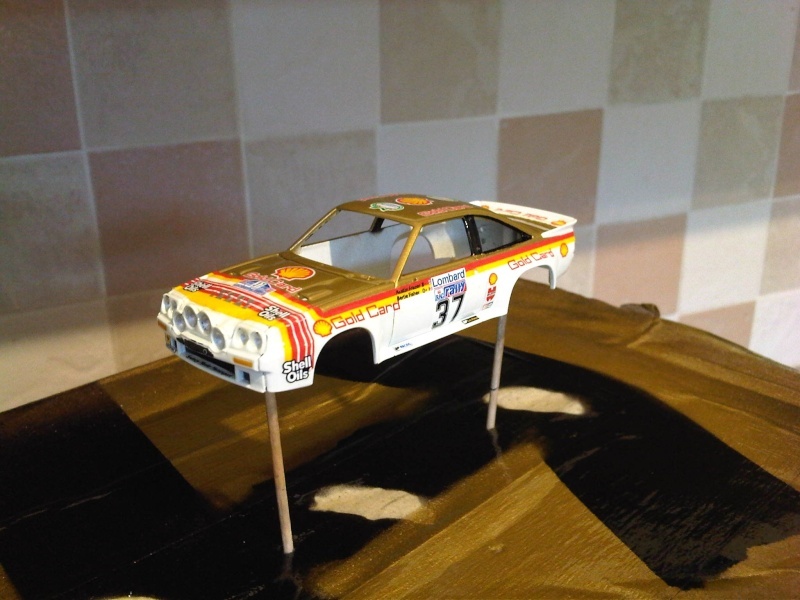 I'm working on my Toleman/ Lee Paris-Dakar 6R4 kit this afternoon. I sprayed the white paint a couple of months back and have done nothing with it since then... until now. Right I've been fighting with these decals all day!! NOW that's a great idea........Go to the pub and have a few pints !!! It's been well worth the perseverance and effort. Well done that man.... and now I know what the model looks like too! I can identify with the non-sticky decal situation. 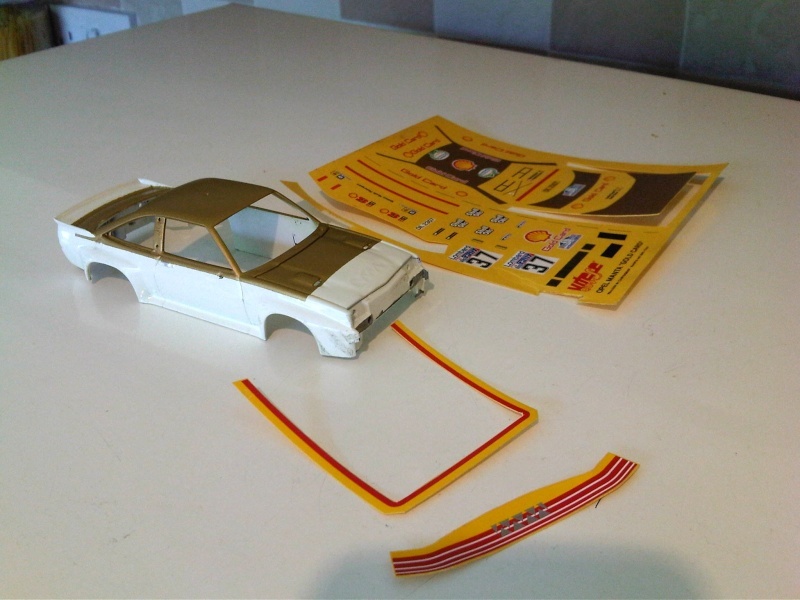 I've got around it using Micro Set, which usually does the trick by adhering the decal where it needs to be. Haven't used super glue before...... I could see that ending in disaster, potentially. Glad it's all worked out for you. Cheers Lads, it was a tricky enough wee build this one!! 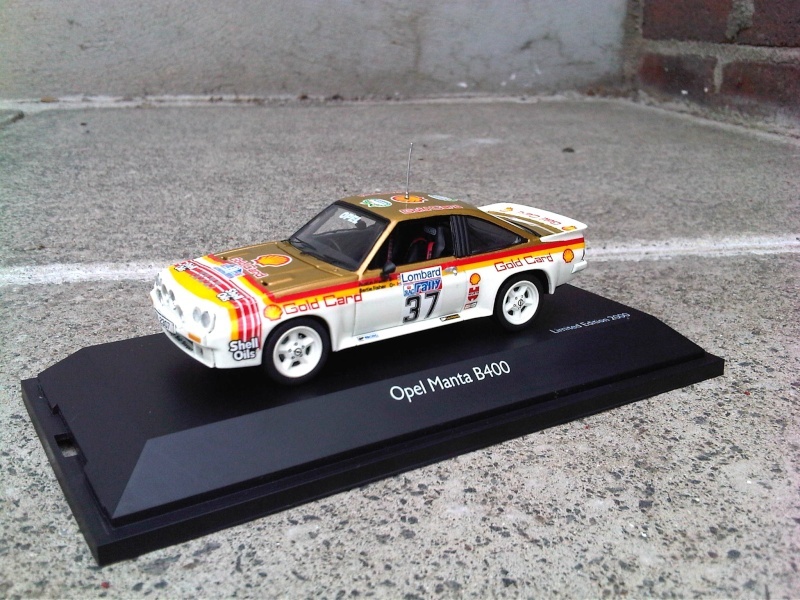 Your Manta looks far better than the Vitesse. 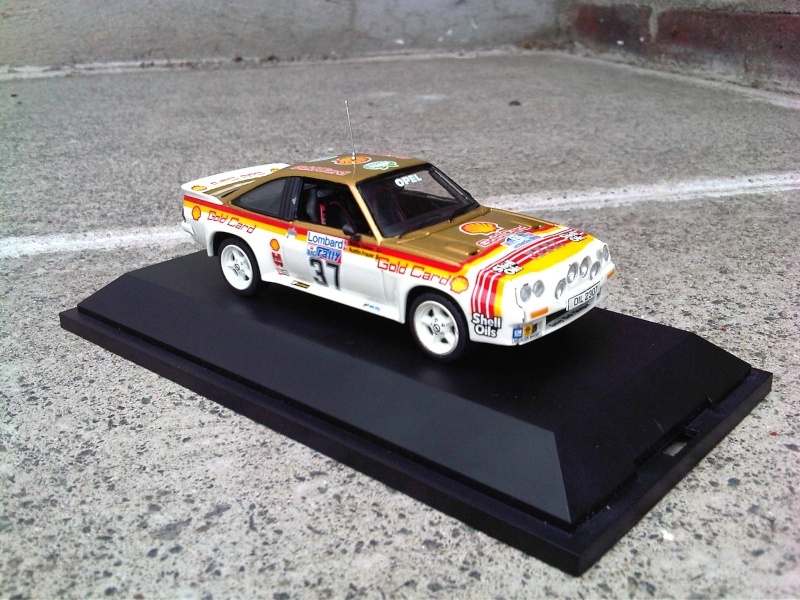 Schuco Manta looks 100% better than the Vitesse. Superb work Colin. I agree. 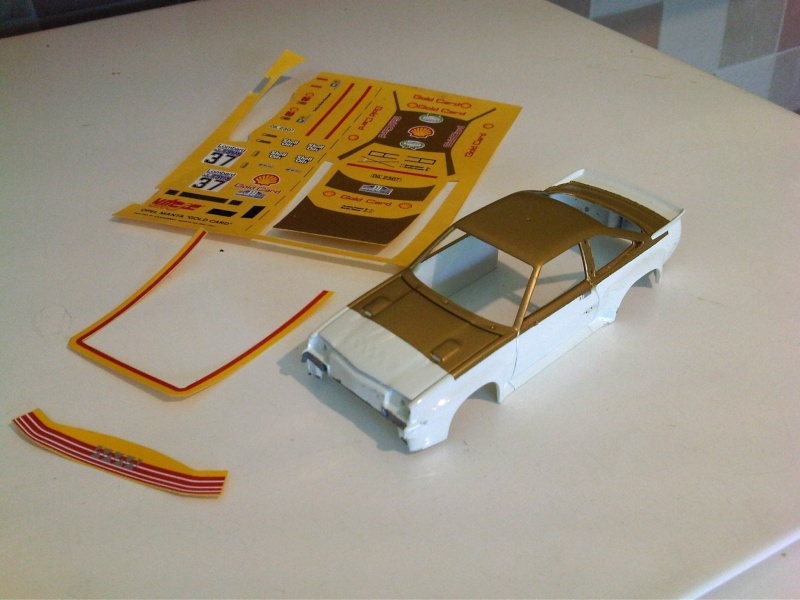 Your Schuco creation is much easier on the eye, and painting the car Gold first was key, along with the other modifications. I would be very pleased with that! 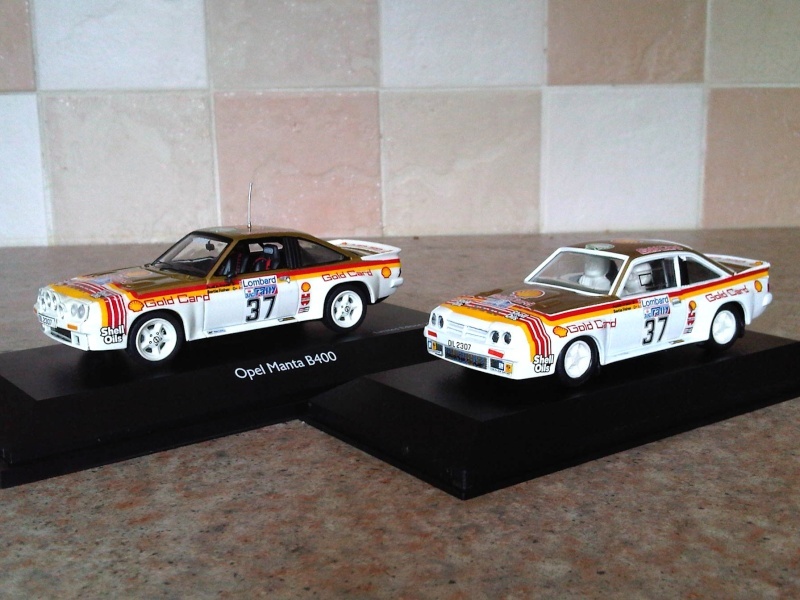 I have those decals, and a Schuco base car...... can I ask where did you get the RHD dash, as I also need to convert the McRae Manx version? It's the same with the clocks but you need a very sharp blade and a steady hand!! 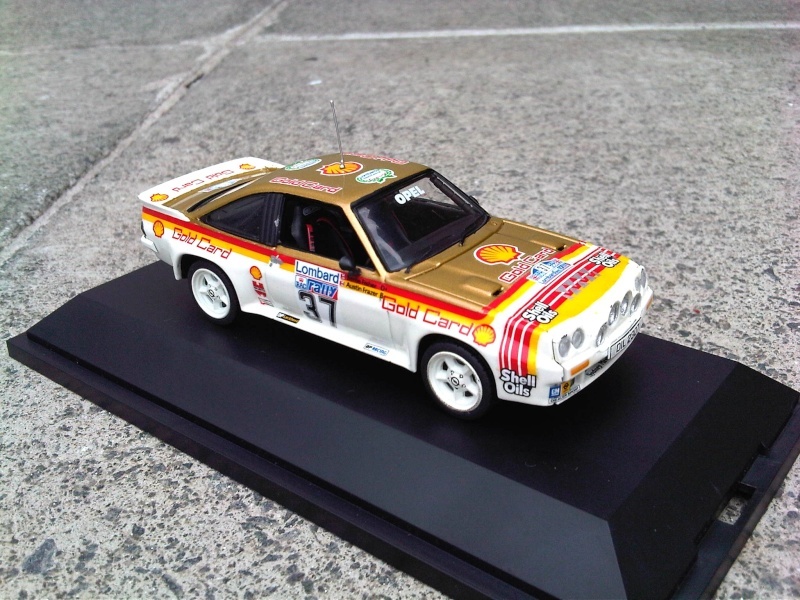 Brilliant work as always Colin, love the detail of the Schuco one, well done. Sometimes the solutions are just so obvious.................... thanks for that tip! There's a well known saying "Sometimes you have to think outside the box"
Been meaning to do that for ages and ages mate. Class work! There is some difference between the two models.....................savage work !!! !